HT201487, 201441, 201354, 201365, PH2702: Unlock iCloud Now! Home iCloud Lock HT201487, 201441, 201354, 201365, PH2702: Unlock iCloud Now! HT201487, HT201441, HT201354, HT201365, PH2702 are terms created by Apple, which can help those who get trouble with their iCloud account/Apple ID. Here, I’ll share the meanings of these terms and the universal solution for these issues. 1. What does HT201487 mean? 2. What does HT201354 mean? 3. What does HT201365 mean? 4. What does HT201441 mean? 5. What does PH2702 mean? HT201487 is the solution offered by apple to those who forgot their Apple ID password, thus cannot sign in on their device. This tutorial is about how to reset Apple ID password. It offers three ways: reset when Two-factor authentication enabled, reset using Email, password, and security questions, reset with Two-step verification. One thing you should note is that you need to know the email address for your Apple ID before resetting the password. Check on your device: iPhone iPad, iPod touch, computer, Apple TV, etc. Try a different email address. Get it back with your first name, last name, and email address. You’ll learn the details on how to use Find My iPhone Activation Lock from this page. Activation Lock is a feature of Find My iPhone. It is designed to prevent someone from accessing your device (iPhone/iPad/iPod Touch/Apple Watch) when it’s lost or stolen. When you turn on Find My iPhone, the Activation Lock will be enabled automatically. And your Apple ID will be securely stored on Apple’s activation servers. It will require the Apple ID password when someone wants to have access to your iPhone. They cannot use it unless they can offer the Apple ID password to disable the Find My iPhone. If you’re the owner of this device (iPhone/iPad/iPod Touch), you need to provide the Apple ID and password to turn it off. When you forgot the Apple ID or Apple ID password, you can find the solutions at HT201487 and HT201354. Ask the previous owner to sign in to iCloud.com with his/her Apple ID. On the next page, choose Find iPhone then click All Devices at the top of the screen. Select the device by clicking on it, then choose Remove from Account. This post introduces the steps to remove your device (iOS device, Apple Watch, AirPods, or Mac) from Find My iPhone. When you plan to sell, give away, or trade in your device, you need to erase all contents and settings, after that, Find My iPhone will also be disabled. Forgot your Apple ID or password? 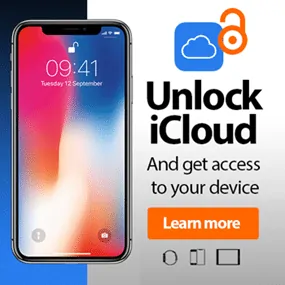 Or get a secondhand iPhone or iPad that is locked by iCloud Activation Lock? Don’t worry, here I’ll share two universal solutions for Apple ID or iCloud Activation Lock removal. It is a permanent solution to remove iCloud Activation Lock via iCloud unlock services. When it comes to choose the best one, I would recommend DoctorUnlock.net. This reliable service received a lot of positive reviews from it’s customers. Step 1. Visit DoctorUnlock.net on your browse. Step 3. Choose one of the payments and order it, after this, you will receive a confirmation email. After the above steps, what you should do is waiting for them to unlock your device, it usually takes 2-3 working days. You can bypass iCloud activation lock easily via DNS (Domain Name System), which was found by Ihor July. The main principle of it is to change the activation request path from the original Apple server to another server. After changing DNS address via WiFi settings, your blocked iDevice will send a request to DNS Server, through which you’ll be able to surf the Internet, watch and shoot videos, take pictures, listen to music, etc. Step 1. Starting the process by selecting Country and Language. Note: your device should not be connected to this Network before changing the DNS, if connected, you need to forget this network. Step 4. After step 3, tap on “Back” at the top left, then enter the password to connect to your Wifi. Step 5. After connecting, your iPhone will be directed to the nested interface, which says “It may take a few minutes to activate your iPhone.” Wait for about 2 seconds and tap on “Back” at the top left. Then you’ll see a pop-up screen. Scroll down and select “Menu” to start using your iPhone. There are a lot of limits and restrictions when you bypass iCloud successfully. Only a small part of functions are available to you, such as watching a video, browsing websites, playing games, chatting with friends, listening to music and radio. What’s more, this is only a temporary solution.